Nexus Prime, just a code name. Always was. Galaxy Nexus on the other hand, is the retail name of the world’s first Ice Cream Sandwich device. 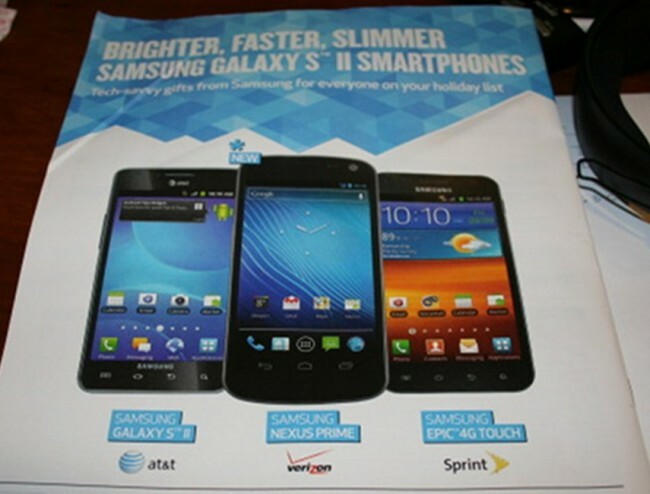 It’s also not a part of the Galaxy SII family as Best Buy seems to think in the ad up top. If you can’t tell, we aren’t buying the idea that Verizon has all of a sudden changed their mind and decided to call this the Prime after more than a month of referring to it publicly and internally as the G-Nex. Who the hell says that Verizon has any choice in the name of this anyway? This is Google’s baby, and they dubbed it the Galaxy Nexus. Why would Google and Samsung release this phone to the world as the G-Nex, yet decide to change it up a bit here in the States as the Nexus Prime? Makes absolutely no sense. The Nexus One was the Nexus One everywhere in the world. Same with the Nexus S.
And let’s not forget that BBY once referred to the XOOM as the “DROID XOOM” even though we had all known for weeks that the “DROID” brand had been dropped. So yeah, let’s not jump to a bunch of crazy conclusions and think that Verizon and Best Buy are selling separate exclusive versions or had a sudden change of heart with just a couple of weeks left to go before launch. It’s the Galaxy Nexus, my friends. This is just a pre-printed BBY guide that has hasn’t been updated. One more shot after the break. 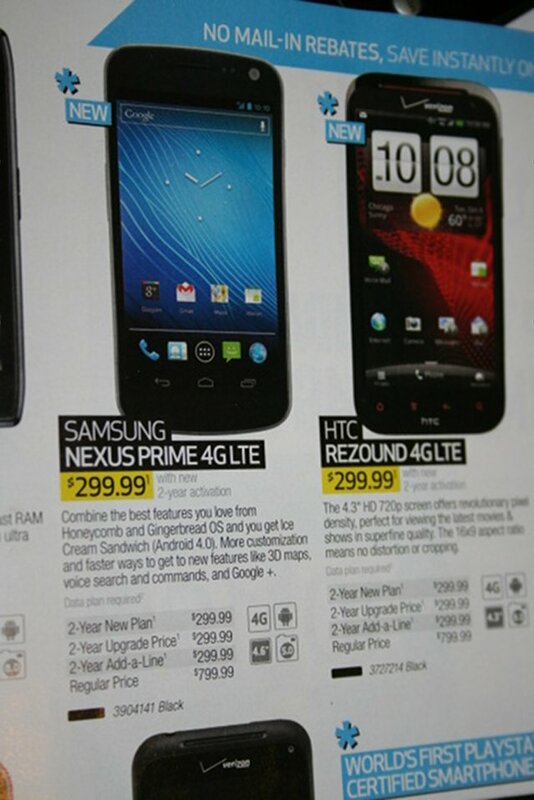 And if it ends up as the Nexus Prime, call me the most surprised man on the face of the Earth.